If you need any additional views of the Droid 2 before it launches on Thursday, we were just sent a link to the 360 viewer which Verizon features for all of their phones. 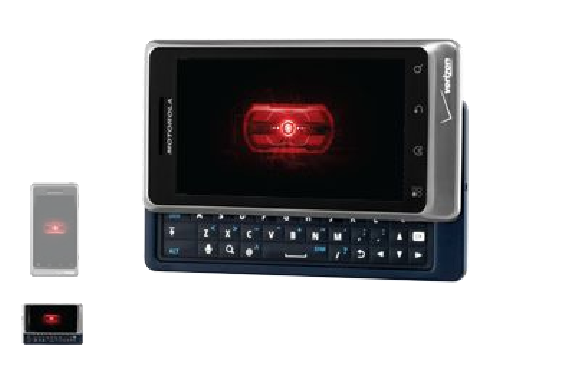 Displayed in all its glory, is the enhanced keyboard, weird silver metallic finish, and navy blue backing. While most would have preferred the black we’ve seen on the Droid X and original Droid, this color scheme could quickly grow on us. View the 360 Droid 2 here.